Diagnostic Cytopathology is a subspecialty study of pathology focusing on cellular disease. Obtaining information from exfoliated cells allows for precancerous lesions to be discovered and treated before fully turning into cancer. Cell specimens are removed either through abrasion or fine needle aspiration from various body sites breast, thyroid, lymph node, liver, etc. Expert dermatopathology interpretations benefit both the patient and the physician by offering better interpretations, leading to more precise diagnosis and treatment. Our Board-certified dermatopathologists can assist you in making more accurate, confident diagnoses… leading to better results from treatments and more satisfied patients. We offer timely turnaround, important to patient care. Pathologists educated specifically in Liver and Gastrointestinal disorders benefit the patients and their physicians leading to a more precise diagnosis and treatment. Neuropathologists are physicians who help diagnose disease of the spine or brain. This highly specialized work entails examining tissue, fluid, or tumors from the spine or brain removed by a Neurosurgeon to help in the diagnosis process. Pediatric pathology is a subspecialty of pathology devoted to diseases and developmental abnormalities of infants and children. Unlike other pathology subspecialties, pediatric pathology is age graded, and focuses on patients from the womb up to young adulthood. The pediatric pathologist studies biopsies and other tissue samples and provides diagnostic information to pediatricians, pediatric surgeons, and other pediatric caregivers to assist in understanding and treating patients. The evaluation of non-tumor tissue from kidneys is used to classify and provide information for treatment and prognosis of the various causes of kidney failure. Communicates and consults with physicians regarding the nature and prognosis of specific diseases. Monitors all laboratory testing to ensure test results are accurate and timely. Communicates with physicians regarding unexpected or abnormal laboratory results as necessary. Is available 24 hours a day, 7 days a week to consult with physicians as needed. Implements improved, more cost-effective procedures and tests. Educates doctors and other healthcare professionals about new tests and the best use of all tests. Molecular Test – Determines the presence of disease through analysis of specific genetically determined molecules. Hematology Test – Determines the type and number of blood cells (e.g., white blood cell count). Coagulation Test – Determines the blood’s ability to clot (e.g., prothrombin time). Chemistry Test – Determines the chemical makeup of blood (e.g., cholesterol level). Microbiology Test – Determines the presence of bacteria or other organisms in blood, other body fluids, or tissue (e.g., throat cultures). Blood Bank – Determines the appropriate blood units and components to be used in a transfusion. Diagnostic immunology, or Immunodiagnostics, is a diagnostic methodology that uses an antigen-antibody reaction as their primary means of detection. It is used for the detection of even the smallest of amounts of (bio)chemical substances. Antibodies specific for a desired antigen can be conjugated with a radiolabel, fluorescent label, or color-forming enzyme and are used as a “probe” to detect it. 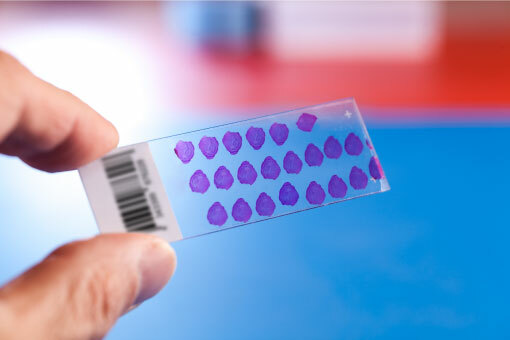 Well known applications include pregnancy tests, immunoblotting, ELISA and immunohistochemical staining of microscope slides. The speed, accuracy and simplicity of such tests has led to the development of rapid techniques for the diagnosis of disease, microbes and even illegal drugs. Hematopathology is the branch of pathology which studies diseases of hematopoietic cells. Immunopathology is a branch of medicine that deals with immune responses associated with disease. It includes the study of the pathology of an organism, organ system, or disease with respect to the immune system, immunity, and immune responses. Transfusion medicine is the branch of medicine that is concerned with transfusion of blood and blood components. It encompasses issues of blood donation, immunohematology and other laboratory testing, transfusion practices, therapeutic apheresis, stem cell collections, cellular therapy, and coagulation. Molecular pathology is an emerging discipline within pathology which is focused in the study and diagnosis of disease through the examination of molecules within organs, tissues or bodily fluids. It is multi-disciplinary in nature and focuses mainly on the sub-microscopic aspects of disease. A key consideration is that more accurate diagnosis is possible when the diagnosis is based on both the morphologic changes in tissues (traditional anatomic pathology) and on molecular testing. 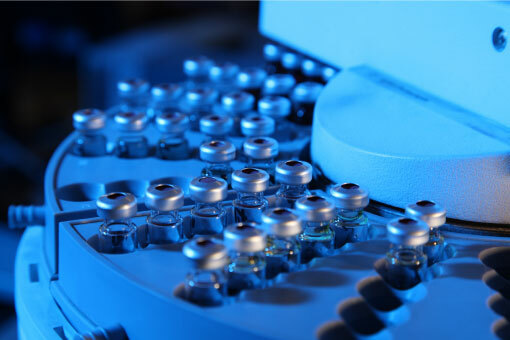 The Molecular Genetics Laboratory at Pathology Consultants of South Broward is an integral part of the Memorial Healthcare laboratory services. The laboratory is a recent addition to our pathology services with a commitment to providing high-quality genetic testing. The new laboratory is equipped with state-of-the-art instrumentation to provide cutting-edge technology in molecular testing. The increased demand for molecular genetic testing is accompanied by a responsibility to ensure that the technology is used appropriately. 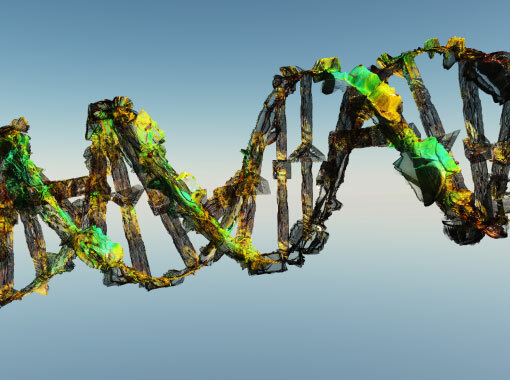 The clinical utility of molecular genetic testing has been growing exponentially for a variety of indications, including inherited genetic disorders, inherited and non-inherited cancer conditions, pharmacogenomic modification of personalized medicine and prenatal women’s health. Molecular Genetic testing plays a key role in patients’ diagnosis, treatment as well as prevention and family planning. Our molecular diagnostic services will be offered in collaboration with our medical staff to provide a comprehensive medical care to our patients.